A year that most drivers hope to end as the best year, ended up becoming a learning year for AIRAID-sponsored driver Brock Heger. 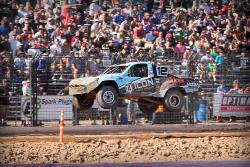 In 2016, Brock was racing his Icon, Maxxis Tires Pro Lite in the Lucas Oil Off Road Racing Series after a great rookie season in 2015 where he finished sixth in the points standing. In the beginning of the 2016 season Brock teamed up with JM2 Motorsports owned by Supercross legend Jeremy McGrath. Teaming up with Jeremy allowed Brock the opportunity to learn from Jeremy who drives a Pro 2 in the series, which is the premiere class above the Pro Lites and gave Brock the ability to have some of the best crew guys to work on his truck and make it as fast as it can be. In the offseason Brock and the team have spent a lot of time making some minor changes to the truck that are going to allow Brock to be even faster than he finished 2016. 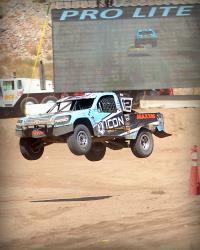 With these modifications and testing, Brock believes they are almost at the limits of the truck’s capabilities. With this they ended up buying one of the other competitors’ truck that isn’t racing this year, which only had about a half a season of racing on it. The progression that HRT Motorsports has made from where Brock’s current truck is should allow him to have the speed to get closer or put him on top. The newly acquired truck was set up for someone with a totally different driving style than Brock was used to, so the team has a lot of work to do to the truck. After the team is finished with modifying it to work the best for Brock they are going to be doing some testing to get it completely dialed in for the races. With the new truck initially set up for the other driver, Brock thinks it is almost as fast as his old truck at its best, so Brock and the team are hoping to come out strong and be much faster and take command of the podium. 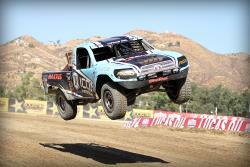 Whether Brock is racing his Pro Lite in front of the stands full of crowds or in his class 10 car in front of fans lining up in the desert, he is always putting on a great show for them and is striving to be on top of the podium holding the trophy up for them. He is also adding the UTV class to his schedule at the Lucas Oil Off Road Racing Series with his Pro Lite for the upcoming season. 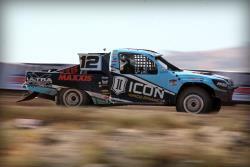 So head out to one of the Lucas Oil Off Road events and watch Brock from the stands or drive out to the middle of the desert and watch him fly past you, but make sure you watch this up and coming racer become one of the greats.